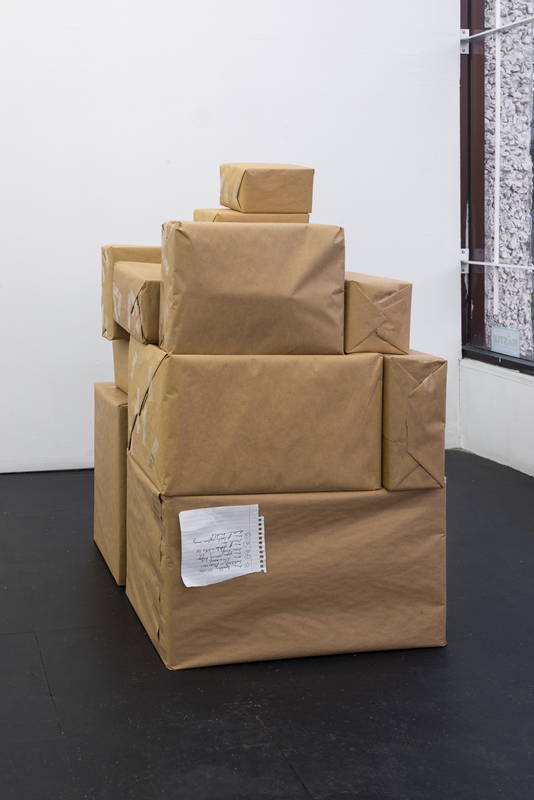 The exhibition The Box Project acts as a contextual underlay to Ryan Quast’s material explorations, in which he elevates low objects through a complex, attentive, and laborious process of layering and sculpting paint into replicated “anti-readymades.” Many of the sculptures depict objects commonly found in the studio that are not “art” as well as hoarded objects from domestic contexts. 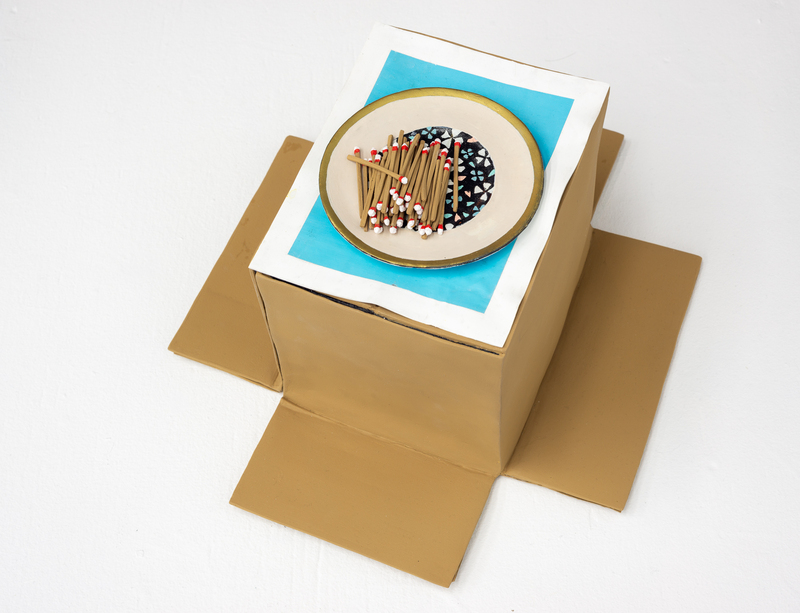 The Box Project comprises a series of photographs of boxes of possessions left behind by the artist in the streets and alleys of Vancouver, which are often dismal settings in direct contrast to the city’s “picturesque” reputation. 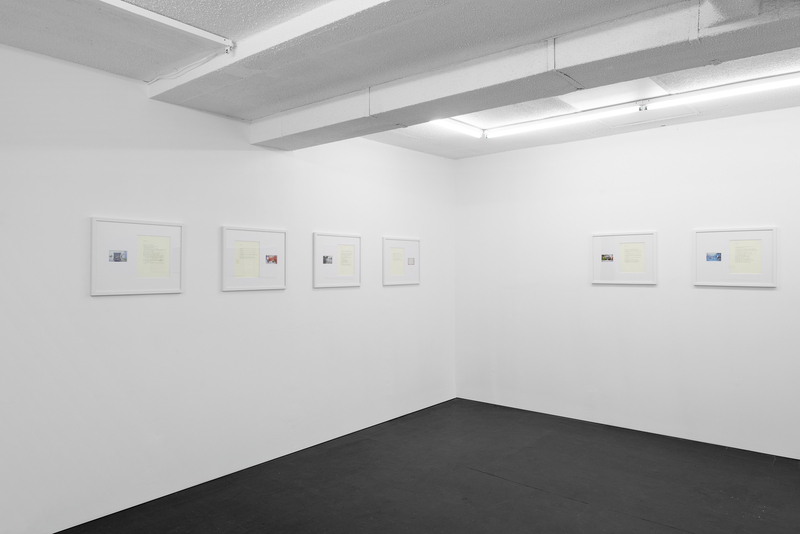 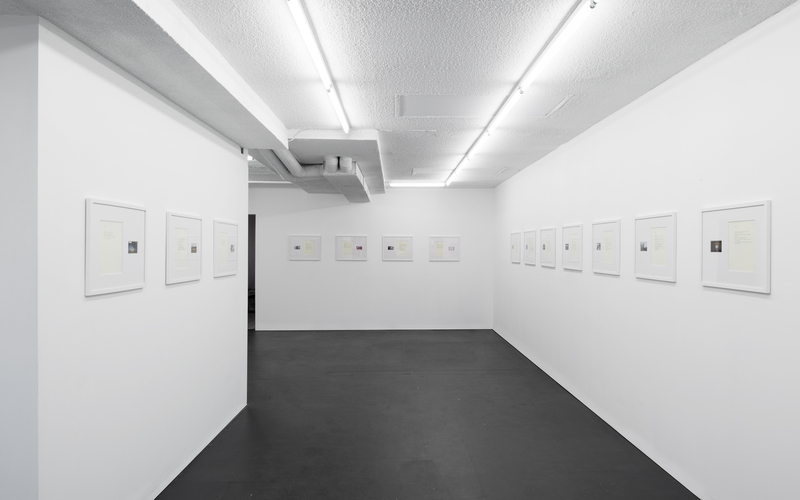 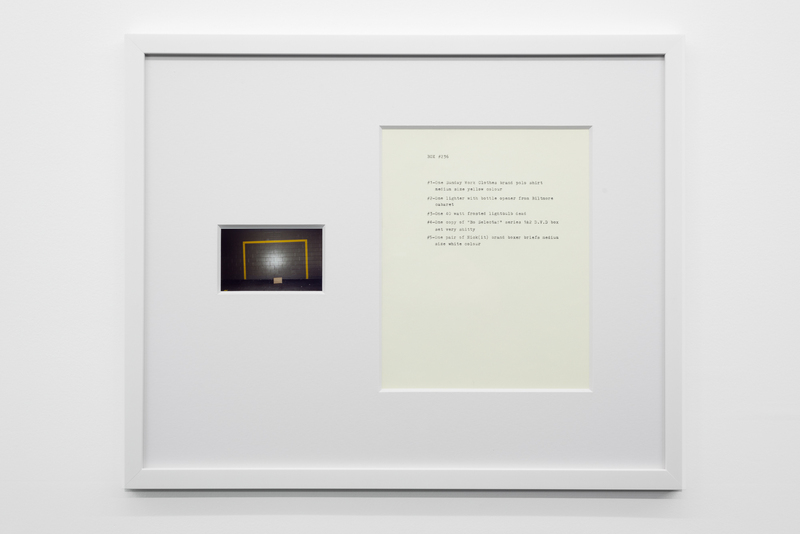 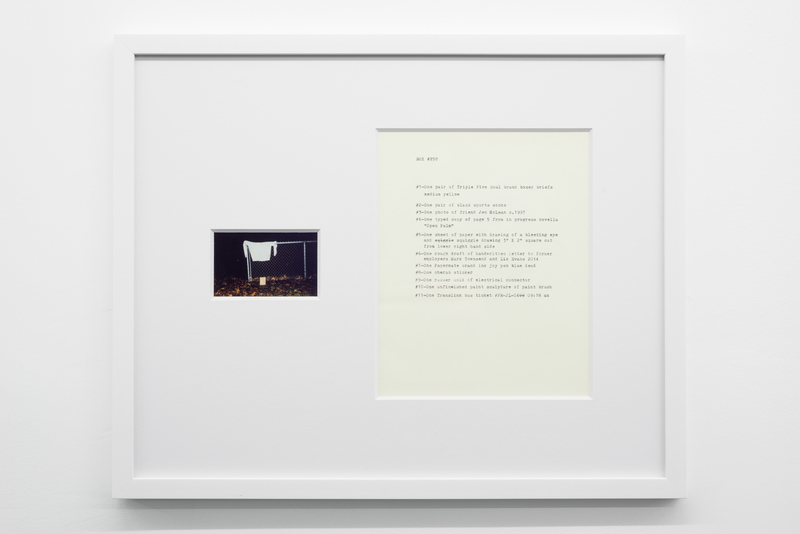 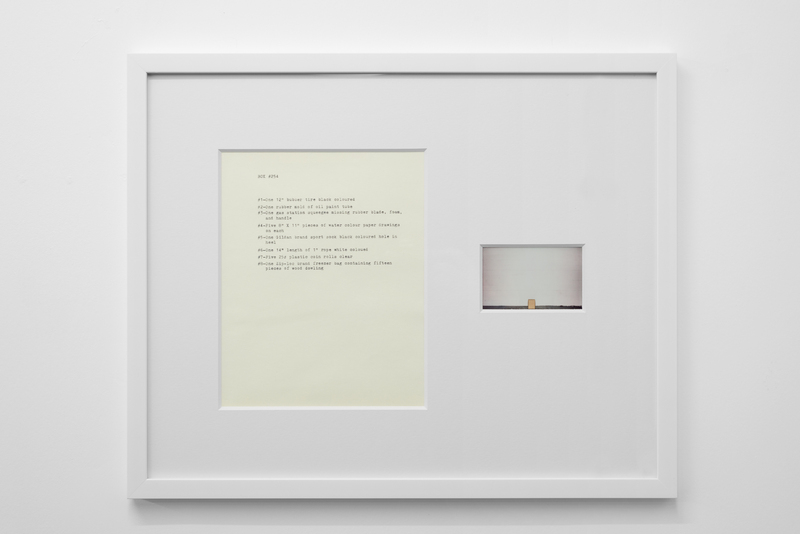 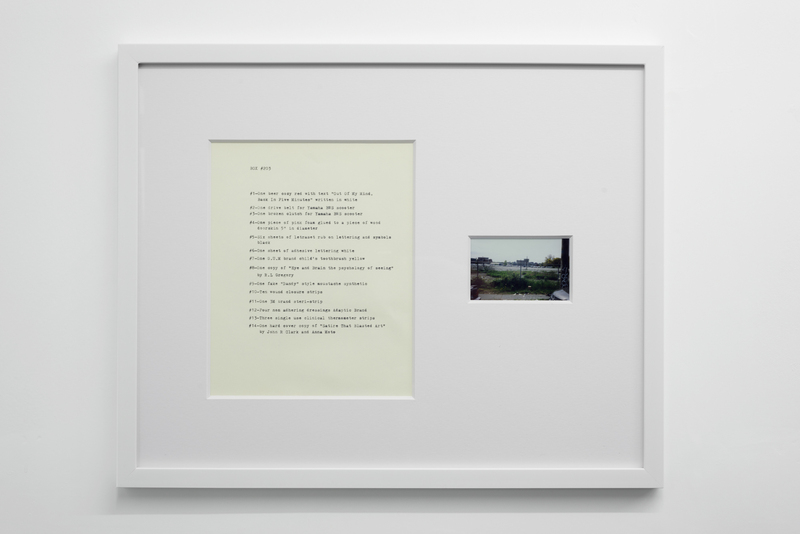 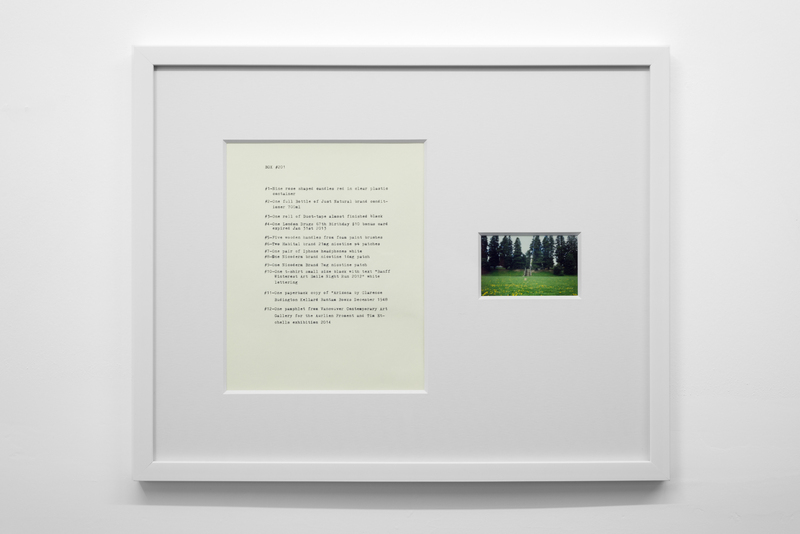 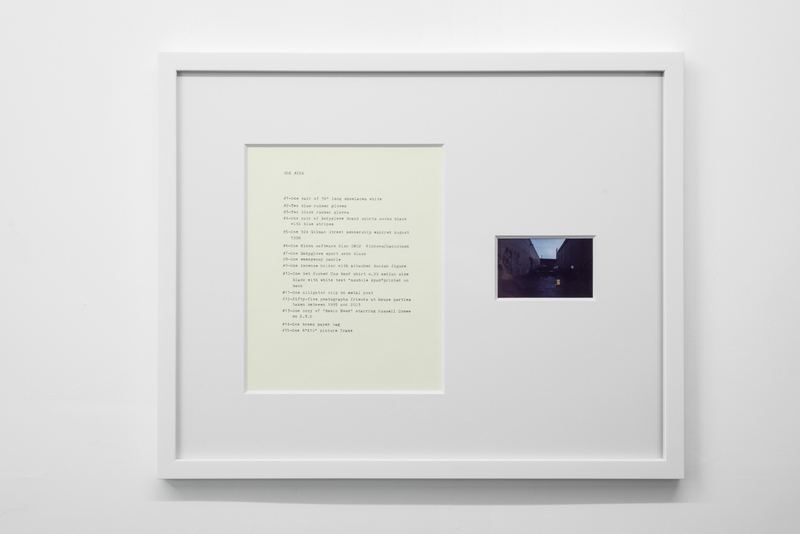 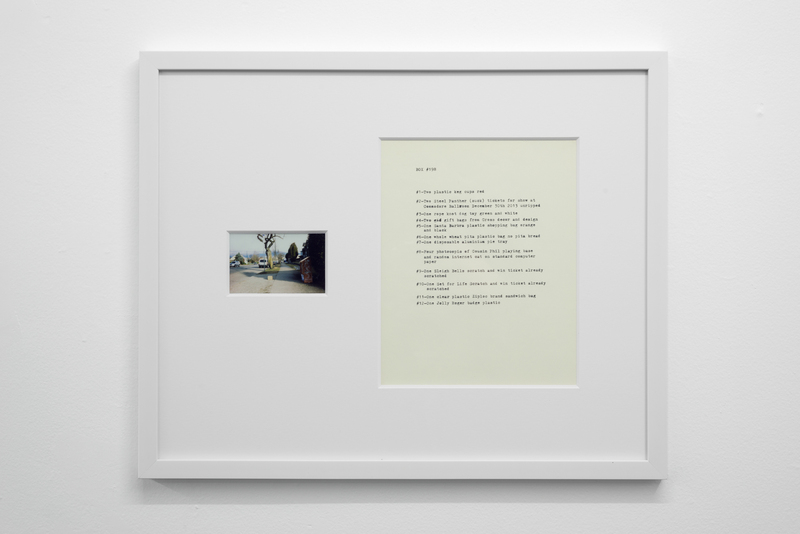 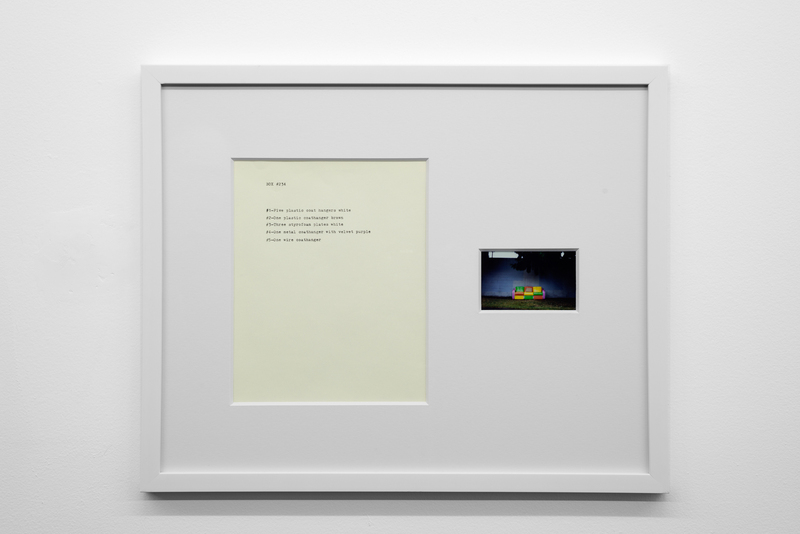 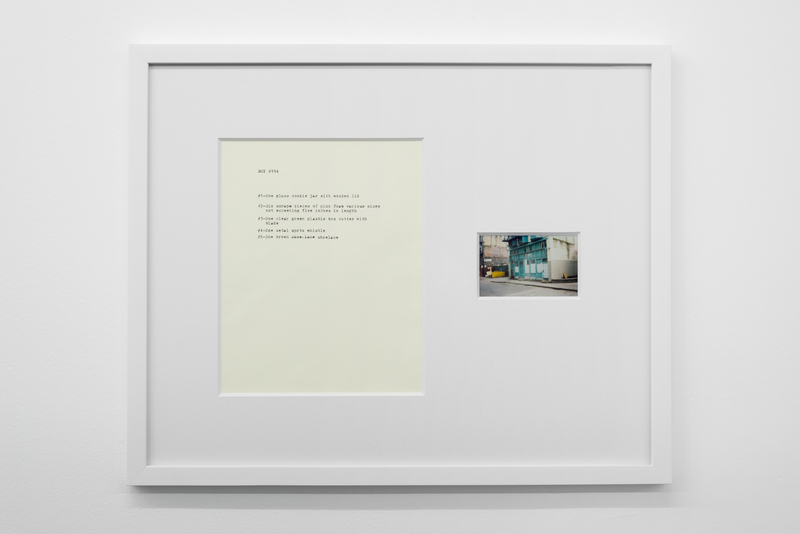 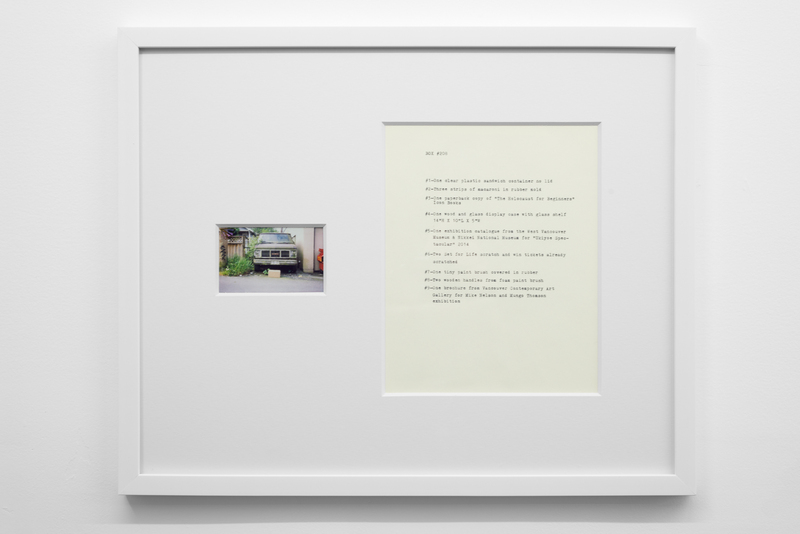 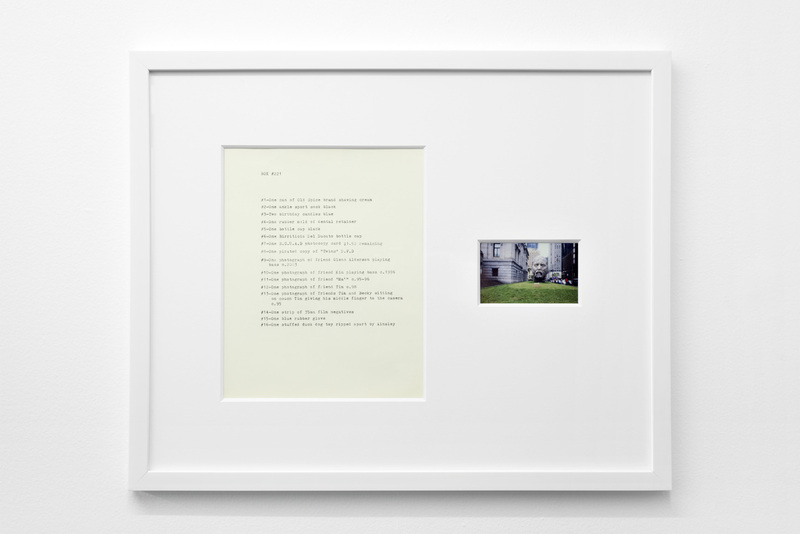 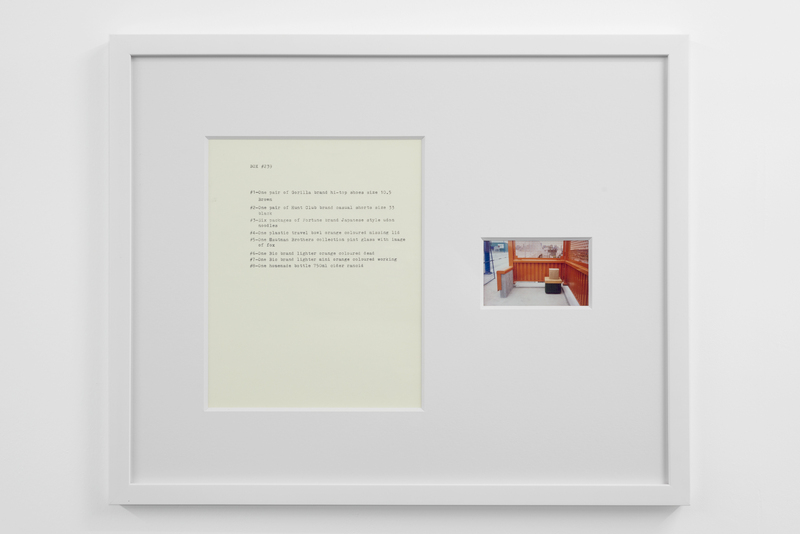 Each photograph is paired with a typewritten list of the hoarded objects found within the discarded box it pictures. 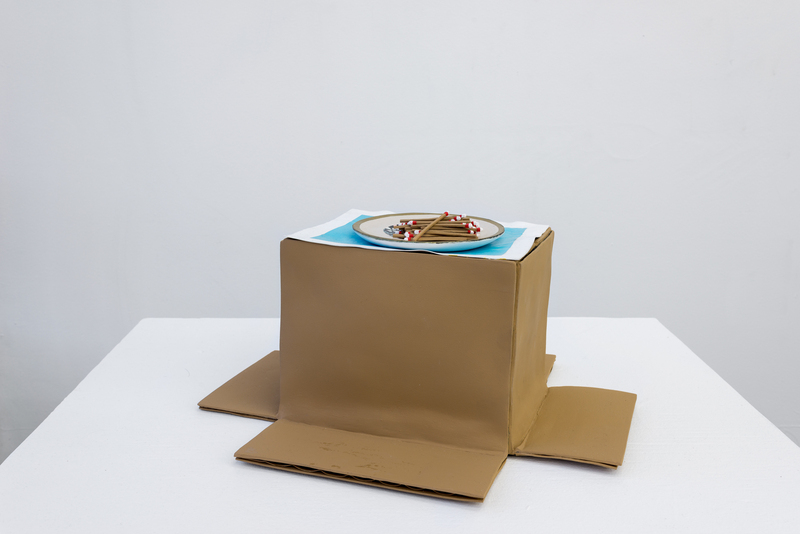 The series both informs the aesthetic of Quast’s sculptural paint works and investigates the artist’s compulsion to dump his personal possessions in this manner. 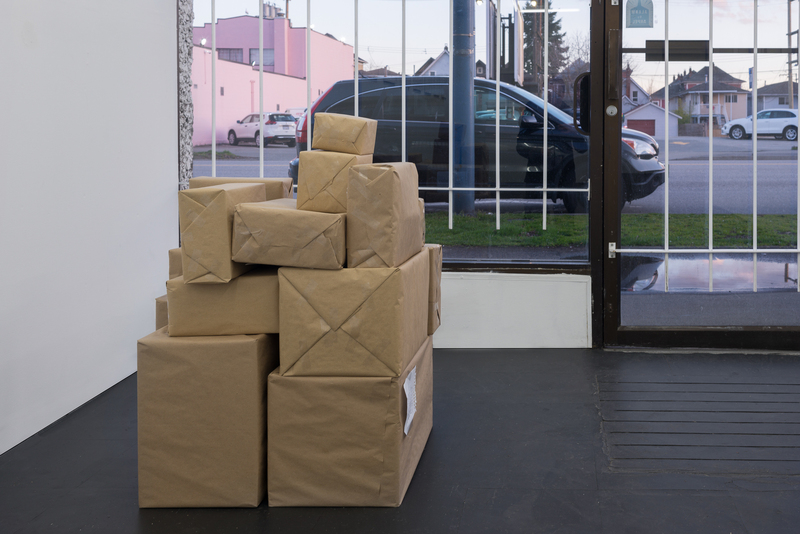 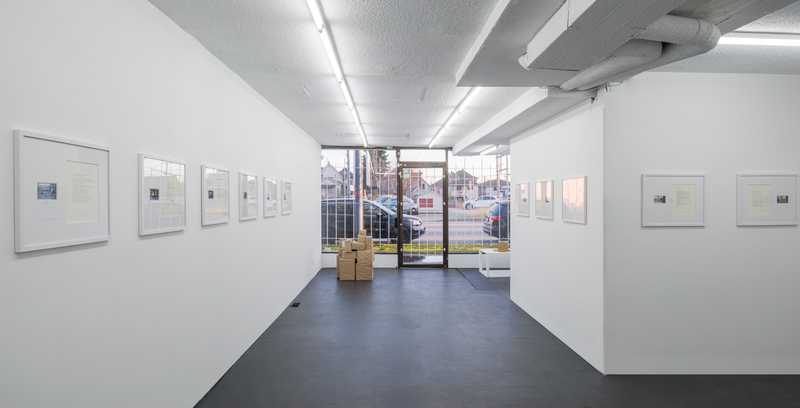 The cumulative effect of these photographs is to illustrate scenes at the fringes of society; the box can be read as a visual metaphor of the experience of economic decline or social coldness experienced in downtrodden areas across many North American cities.